The Prosopography of Byzantine Lesbos, 284–1355 A. D.
ist Professor f_r Griechisch und Latein an der Ohio State University. 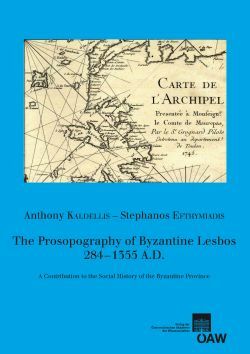 This book is the first comprehensive prosopography of a provincial region of the Byzantine Empire, the island of Lesbos, throughout the entire period of its being controlled by the Byzantine state (284–1355). It includes not only persons native to the island but also all known visitors. The entries, presented in alphabetical order, are divided into three non-overlapping periods: early (284–650), middle (650–1204), and late (1204–1355). Primary texts are quoted in full after each entry and maps of Lesbos for each period are provided. The introduction discusses the current state of Byzantine prosopography, its challenges and limitations, as well as the nature of the sources that are used. It also outlines the political and administrative history of the island of Lesbos and the problems of insularity. The volume concludes with a general index as well as a number of appendices, including revised episcopal lists, manuscripts cited, and persons in chronological order.